Get the word on the cash cows ahead of round three. We hope the coaches keep feeding those cash cows whatever they did this week because we saw some monster scores from our rookies in Round two! Unfortunately for some, these rookies were either not on our field or not in our team all together. It’s also looking like some teams may have a few issues up forward. Fear not, we are here to help review the round and have a look at how all the important cash cow rookies performed. The pick of the rookies in Thursday night’s match had to be Tom Doedee (Def. $254,000 -20 BE). Doedee had 25 disposals and collected 78 fantasy points. He seems to have slotted straight into Kelly’s role down back for the Crows and you should feel confident about playing him at D5 or D6 for the time being. It’s worth noting that Kyle Cheney injured his hamstring in the SANFL so this has only increased his job security in the short term. Honourable mention in the game has to go to Lachlan Murphy (Def. $200,000, 2 BE) who was lively up forward and kicked two goals in a quarter on his way to 61 points. Looking at the team list it’s hard to see Murphy losing his spot in the team in the near future. Respect to those who picked him up as the dividends will be paying off for a least a couple more weeks. Darcy Fogarty (Mid/Fwd. $270,000, 26 BE), who is currently in 31% of teams, had an eventful night considering he only had seven touches. Fogarty showed off his physicality kicking 2 goals and also managing to get himself reported. Fogarty has since been cleared, however we don’t see him as a viable long-term option due to his inflated price and lack of job security with Tom Lynch’s return from injury imminent. Even if Fogarty does hold his spot it’s hard to see him getting the amount of ball he would need to score a good amount. To those that kept Shai Bolton (Fwd. $230,000, 33 BE), you are a braver person than most of us, and you were handsomely rewarded with a 38 point increase on his round one score! The bad news is that still only meant a score of 52 points. It’s time to cut your losses on Bolton and try to grab one of the other forward rookies mentioned below whose price is about to sky rocket. How good was Ben Jacobs!? Our first cash cow of the year to crack the 100 barrier. Jacobs (Mid. $286,000, -7 BE) had 18 disposals, laid ten tackles and kicked a goal. Whist Jacobs was definitely playing as a defensive midfielder on Seb Ross, it certainly wasn’t the hard tag that we have seen him do in the past. The promising part of his game was his ability to run off Ross and be part of the Roos passing chain off half back. This is something that Jacobs didn’t do when he was at his prime of tagging previously. If you are lucky enough to be a part of Jabobs’ 3.6% ownership, you can play him on the ground with confidence. Luke Davies-Uniacke (Mid. $272,000, 25 BE) played a much-improved game from last week and is essentially performing as expected. He got better as the game went on and ended up with 16 disposals, five tackles and 70 fantasy points. This is about what you can expect from him going forward and do remember that if you started with him, it was predominately for job security. Before we get too carried away with the rookies from North and their scores, you must remember that St Kilda were terrible in this match. Ben Long (Fwd. $250,000 25 BE) and Hunter Clark (Mid. $265,000 41 BE) were both very disappointing, scoring 30 and 28 respectively. Clark didn’t touch the ball in the first quarter and got caught holding the ball three times. With Mav Weller and Luke Dunstan performing well in the VFL, you would think there would be changes and Clark is the most susceptible out of the two. A lot of coaches jumped on Cam O’Shea (Def. $237,000, 28 BE) this week after he was named a confirmed starter. After a bright start and a 28 point first quarter, unfortunately, O’Shea only managed 45 points and made several costly skill errors along the way. We can’t stress how basic these skill errors were! It certainly wouldn’t shock us to see him dropped back to the twos. Whilst Paddy Dow (Mid. $273,000 39 BE) wasn’t disgraced, he just didn’t do enough, managing only 11 touches on his way to 37 points. With a few key injuries and other rookies to potentially take care of for teams this week, Dow, shouldn’t be the top of your trade list but for those people with a luxury trade it is worth moving him across to one of the key midfield rookies at a similar price who will be making a lot more money in the short term. Dow does still have some of the better job security of the rookies running around though. Cameron Polson (Mid/Fwd. $192,00, 20 BE) was a late in for the injured Kreuzer. Although he did not look out of place he definitely didn’t do enough to demand selection in our sides with only 40 points..
For Gold Coast, Nick Holman (Mid. $267,000 -25 BE), again showed his tackling prowess, backing up his 13 last week with 11 this week to help him on his way to 89 points. 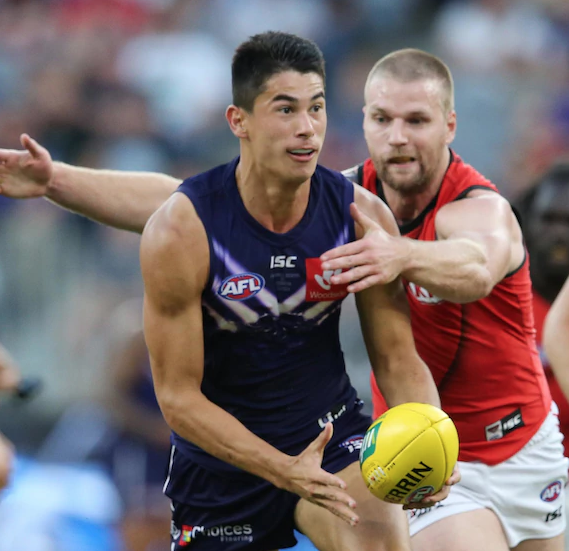 If he is given similar roles to the one he played on ex-teammate Patrick Cripps (see photo) against the other bigger body midfielders in the league then, going forward, there is no reason as to why those tackle numbers should drop off. Holman has started the season on fire and his job security looks great, keep playing him on your field with confidence. GWS love the ball in Jeremy Finlayson’s (Def. $247,000, -23 BE) hands. So much so that he is the defender rookie we would be most confident starting on the ground at this point in time. The Pies traditionally give up good points to defenders and Finlayson made the most of this opponent as he had 23 disposals and six marks as he accumulated 90 points. Whilst still priced under $250,000, if you still don’t have him, jump on! Zac Langdon (Fwd. $220,000, -2 BE) did what Zac Langdon does, applied pressure, kicked a couple of goals (including a crucial one when the scores were tight) and scraped to 60. With news coming out about Langdon and his broken hand owners are going to have to trade him out of their sides unfortunately. Look below at the Twitter questions for our ideas of who to bring in. Sam Murray (Def. $237,000, -4 BE) had 20 disposals, yet he only managed 54 points. We’re thinking/hoping this is a rare event and he should go back to scoring plus 70’s in the weeks to come. If you have him at D5 or D6, leave him there, he will repay you in the coming weeks as he dashes off that half back line. Jaidyn Stephenson (Mid/Fwd. $294,000, 23 BE) was ok again. He did a couple of nice things out on the wing but would regularly go missing. They clearly rate him internally, however with Fasolo and Blair making their VFL returns on the weekend, we wonder how secure his job is. Whether you have Stephenson or not, we would keep it that way. Cameron Rayner (Mid/Fwd. $257,000, 51 BE)… If you got him for job security, that’s unfortunately not looking so good right now. Rayner had just four touches and collected 24 points. He also dropped $11,000 and sits there with a Breakeven of 51. Raynor will come good at some point and will get more game time in the senior team, however if you have nothing better to do, then it’s a luxury trade to a more juicier cash cow. Bayley Fritsch (Fwd. $269,000, 3 BE) was again solid, kicking two goals and scoring 60 points. Keep him in your side as he is doing exactly as expected and has no one knocking down the door for his spot. Great stuff Bayley! Who would have thought a Ross Lyon coached side would be so cash cow relevant!? Andrew Brayshaw (Mid. $293,000, 21 BE) played a much-improved game this week, scoring 71 points from 16 disposals. Brayshaw will continue to improve and his role as an inside midfielder will become very fantasy friendly. Bailey Banfield (Mid. $224,000, -6 BE) was given a tagging role on Zach Merrett, and whilst this wasn’t great news for Merrett owners, Banfield played his role very well and scored 68 points in the process. It’s clear that Fremantle want Banfield in the team, they are just trying to find him a suitable role, and it appears as though they have. First gamer Adam Cerra (Mid. $278,000, 23 BE) was very eye-catching, scoring 66 points from just nine possessions. It felt like he had a lot more than that as he was very clean with ball in hand and impacted the game with two goals. Cerra is not one worth chasing for your sides as you’d expect him to have quieter games in a losing side but definitely paid back the owners who were brave enough to start him. Mitchell Crowden (Mid/Fwd $175,000, 22 BE) was disappointing, scoring just 33 points and making some costly decision errors. If you had a West Coast rookie, chances are they performed well. Whilst this is good news, how much you can take from it is unknown as the Bulldogs were borderline uncompetitive. Liam Ryan (Fwd. $273,000, -6 BE) was the pick of the rookies, kicking three goals three and looking incredibly dangerous on his way to 91. Ryan’s job security is a lock. Daniel Venables (Fwd. $203,000, -1 BE) finally showed some promise. Venables played as a forward and regularly found ample space, kicking three goals and scoring 67 points. Again, how much you can take from this game is unknown but he should not be dropped on the back of a performance like this. Jake Waterman (FWD. $206,000, 4 BE) was solid enough scoring 54 whilst William Rioli (Fwd. 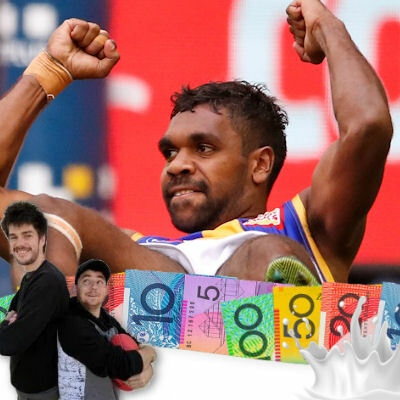 $170,000, 26 BE) struggled all day, collecting just eight disposals and scoring 25 points. Rioli is not one we would look to bring in despite still being at a low price tag. For us there is just no track record of proven scoring and too much of an injury history. For Western Bulldogs, Billy Gowers (Fwd. $224,000, -8 BE) has crept under the radar. Gowers looked promising up forward although he was wasteful with the ball, kicking one goal and three behinds on his way to 70 points. With so many question marks around the Bulldogs and their form it’s hard to see them dropping the players like Gowers who are competing strongly. This is despite the fact that Tory Dickson, who would play a similar role at the Bulldogs, kicked four goals in a half for the VFL side in a practice match. Aaron Naughton (Def. $272,000, 24 BE) was just OK. Naughton scored 61 points, however he often coughed the ball up. Tim English (Fwd/Ruck. $241,000, 12 BE) was also poor. He was regularly dropping marks and barely impacted the game. The injuries to Jordan Roughead (concussion) and Jackson Trengove (shoulder blade) could mean English gets to solo ruck next week which should mean a much-improved score. Although it should be noted that Tom Boyd was running around in the Bulldogs practice match and shared the ruck duties with little known player Josh Patullo. This does leaves some worrying question marks around English in the long term. We got our first look at Ed Richards (Def. $246,000, 30 BE) during this game and although he provided some dash off the half back line he’s not a trade target after only 46 points. Not too many relevant rookies playing in this game. Dom Barry (Mid. $243,000, -13 BE) again looked great for two of the four quarters. If he keeps performing at this level, his job security (which was the biggest issue for Barry) is not an issue. Barry laid seven tackles, collected 15 disposals and score 71 points (52 of which came from the 2nd and 4th quarter). He looks at home out there. ‘Dangerwoodlettelly’. Tim Kelly (Mid. $319,000, -27 BE) was amazing. He should be a lock to start on your field in the short term. 27 disposals, a goal and 115 points. His skills were elite all day and by the end of the match it looked like they were actively looking to get the ball in his hands. Lachlan Fogarty (Mid. $271,000, 20 BE) only had the eight disposals and 42 points. Unfortunately, with Geelong’s depth and particularly Scott Selwood’s return from injury imminent, this could spell trouble for Fogarty. The only clubs to participate in proper season reserve level games this week were Geelong, Fremantle, West Coast, Adelaide and Port Adelaide. We were unable to obtain the stats from the Geelong game but key rookies and their performances from the other games are shown below. You’ll work out pretty quickly that there weren’t too many key rookies. From all reports in the Geelong VFL match, Jordan Cunico (Mid. $222,000, 35 BE), was best on ground with 32 touches and 9 marks. Both him and well known name Charlie Constable (Mid. 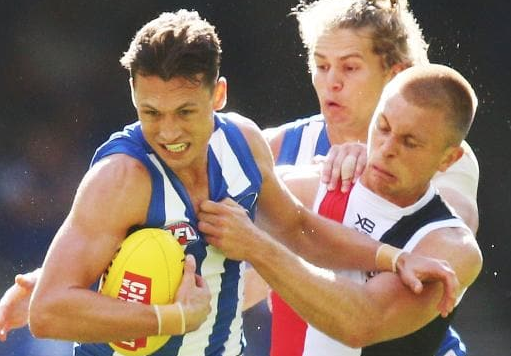 $200,000, 35 BE), who had 31 touches of his own, will be fighting to take the spot of one of the under performing players from the Easter Monday clash. With Duncan and potentially Selwood due to come back in it is hard to see how long they would last in the team even if selected. Jack Higgins (Mid/Fwd. $238,000, 37 BE) was impressive, collecting 22 disposals, laying five tackles and kicking a goal. Higgins is a great downgrade option when he gets his inevitable seniors call up. Harrison Wigg (Mid. 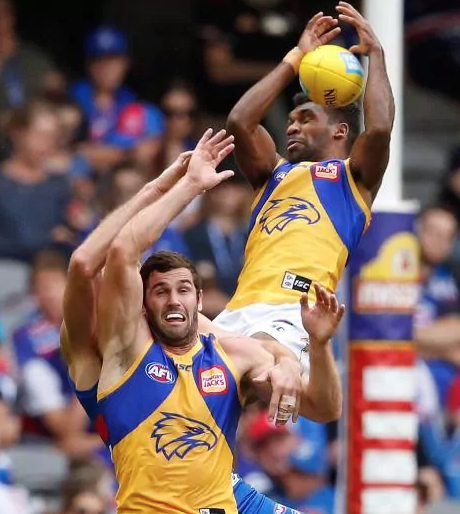 $170,000, 27 BE), who was an extremely popular selection early in the preseason, made an encouraging return from injury in the NEAFL this weekend. Wigg may need a couple more games before being considered for senior selection, but when that time comes, has to be considered for your side. Other key names to impress in the practice matches were Harry McKay (Fwd. $225,000, 35 BE), Zac Bailey (Mid. $242,000, 38 BE), Mackenzie Willis (Def. $200,000, 31 BE), Kieran Lovell (Mid. $210,000 31 BE) and Bailey Rice (Def. $170,000, 27 BE). For those that are wondering we’ll release every so often a Table like the one below to show how many times that key rookies have been named emergency for their respective sides. This should help generate a rough list of who to keep an eye out for in reserve games or when injuries at your club occur as to who could be most likely to fill the void. Fingers crossed Jack Higgins is named. If not, it would be a player who has already played a couple of games. With Fritsch and Ryan already hitting the $270,000 mark, Venables and Waterman probably the next best. Breakeven low, depends how many moves you need to make to bring him in and who you’d bring him in for. Dow or Rayner the only likely options close to that price already. He’s worth a downgrade for a injured premium to make cash (like Crouch). Duncan will effect his scoring but not his job security. Almost certainly. Should definitely allow him to produce a higher score against a less agile ruckmen in Tom Bellchambers. Do note that ruckmen against Bellchambers this year have gone 42 (Sandilands) and 75 (Jacobs). Jacobs will have a role on Jones or Oliver and not as much uncontested football for himself or the Roos this week. We’d go with Brayshaw at home against the Suns. Outside our expertise and would hate to offer the wrong advice, however the most successful players of the games will tell you not to get rid of your premos. Only find ways to bring premos in! That’s all we have time for this week team. Look forward to answering all your questions in the comments and at our twitter handle below. Which one out of Banfield, Brayshaw and Jacobs would you play on field? Also I need to find a replacement for Langdon currently traded in Rioli? Is there someone else who catches your eye? only other option I have is Crowden. Brayshaw over the other two for mine, but it’s a toss up as always with rooks. So you already have or can’t afford Ryan, Fritsch, Gowers, Venables, English? If it’s a $ issue, then can you do another trade to free some up? You’ll regret getting Rioli or Crowden based on what I saw on the weekend. McGlovins has nailed it on the head. His list is who you should tick off first before looking elsewhere. Anytime Digga and by anytime we mean once a week. To late to jump on Barry at his price? Wouldn’t think so, he’s at a similar price to top draft rookies at start season with good JS and fantastic BE. Would have to be dramatic turnaround for him and the team to get dropped in next 2-3 rounds. Which, as a Crows supporter, I’m certainly hoping for. +1. He sure gets in the action. With a negative breakeven it’s never too late! Awesomesauce!! Perfect reading over me first hot coffee of the day!! Need to figure out who to switch Langdon too, can do DPP so new rook can be in any position..
Barry would be my M9 and likely to score higher and make more $$ but Gowers would be my F6 and give better FWD depth over Waterman/English..
Gowers has really put himself in to contention for having better job security then we saw coming and actually had 5 marks inside 50 which shows he’s a target. However, you’ll get more scoring potential out of Barry which you know and think his job security is now on par if not better than Gowers so it’s hard to go past him. News coming out of the west is that Kennedy might play next week so be weary if you have no replacements ready for Waterman (the forward line looks thin). For job security a lone yes! You’ll get weeks of only 40 from Ryan but at least it’s a score. If you are choosing one to bring in we’d go with Ryan unless you really need the extra 50k. Need some help boys. Team’s looking good and have 2 luxury trades. I know Savage is playing OK, but doubt he’ll be top 6 like Simpson. Agreed on the Savage comment. Having him in my draft team I keep a close eye on him and I feel he’s been quite lucky to get to his scores. If the ball isn’t in Saints defensive half as much it’s tough to see him continuing on with that average. Anyway…back to what we know haha. Either of those two is safe having in your team for short term cash generation. If you are picking one then go with Ryan. If you are asking us which option then we aren’t the best for questions around team structure but would do option 1. Cheers, boys. Yeah, feel Rayner’s gots to go. I thought that until i checked J Berry’s scores last year in the first few rounds. These young guys can take time finding their feet and then get the scores you expect. Check out Berry 2017 before discarding. Could prove a copy. Then its about whether your team structure allows the patience. Cheers, no other pressing issues unless a rook is dropped. 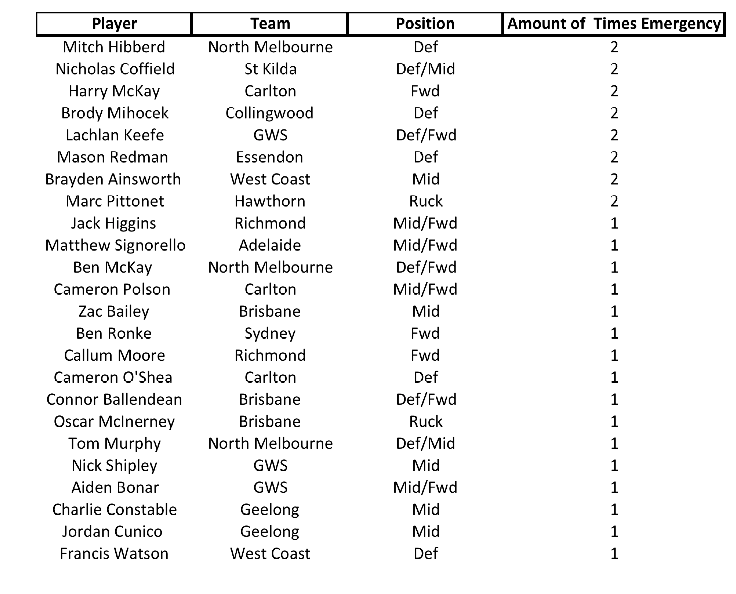 Hibberd to Bonner is sideways at best, but does generate cash. Treloar to Parker achieves nothing. Flip of the coin as to who scores best this week. Langdon has to go. If you’re adamant you want to pick up Gowers, then the Hibberd trade a better option. Gowers has had 2 price rises, although enjoys a low BE. May be better to pick up a new rookie, if one is named and adjust your team elsewhere. Cheers lads, fair to say best option would be to move Langdon to a rook that allows me to get in say Tuohy for Hibberd? Cheers, can get Venables in with 5k remaining- prefer him over the potential rookie inclusions mentioned? Brayshaw will round up a good score one of these rounds. I’m putting Holman and Barry on the field, but it won’t shock when Brayshaw scores higher than one of them. Start Venables or Fogarty, struggling with trades this week.. Think you are chasing good scores a bit Stuart which is dangerous early on. Yeah I think I’ll stick with Dow to Barry & Hibberd to a Yeo/Simmo type. I’ll leave Langdon on the bench untill there is a good downgrade option. Best midfield/fwd option under 660k?? If he keeps his midfield roll then he’s a steal. Rocky playing forward helps Gray for now. Problem is if Rocky gets fit and gets mid time then Gray might find himself forward. I’m seriously considering getting him with my second trade though. Need some help on fielding 3 midfield rookies out of Brayshaw/Holman/Barry/Jacobs/Banfield. So he has 6 midfield rookies? The 5 mentioned + Kelly? Holman and Barry would be locks. Port play Brisbane, so Barry should be solid again. Holman hasn’t put a foot wrong and is averaging 86. Thank you guys. Yes I already have Kelly sitting at M5. So Barry/Holman/Banfield it is. I lean towards fielding the bigger-bodied and/or mature age rookies. I like 2 at this stage, but would go Crouch>Steven. Then change if a rookie like Ahern or someone comes in that you like. Omeara down to barry and make $200k plus and play 3 rooks in barry holman and kelly. Or brayshaw down to barry on bench and make 50k? Option 1 for us! Don’t forget though O’Meara played against a VERY strong midfield, it’s hard to hold him accountable for that score. Wont barry make more more then brayshaw in the longrun? Barry seems to having better scoring potential and brayshaw didnt have a great first game? You would think so, but they must think Brayshaw’s got some big one’s in him. Need to know what your second trade is. Will option 1 let you upgrade a mid-pricer to a premo? If so, pull the trigger. Are you tempted to keep Hibberd and upgrade Brayshaw to J Steven or Zerrett then? Hibberd could come good. That would involve O’Meara to Barry. As long as Port are winning then Barry is safe and would make more in the long run. We just think that Brayshaw has better job security and similar scoring potential. Ryan or go with Gowers and 50K? How’s the rest of the forward line looking. Ryan will be there at byes (if he isn’t injured), Gowers can not be guaranteed to be there at byes. If you don’t need them at that time then there’s no harm in Gowers for the short term. Loving the articles boys. Thoughts on Tim English? Can we play him on the field at F6. Is his scoring output going to increase with Roughead and Trengove both perhaps out this week? Great comments throughout this post actually. Look English will out perform his score from last week if those two players are out, there’s no doubting that. At most though that will see him score 60-70 and then Roughead will return shortly after. Too unproven to trust him at F6. Is Liam Ryan a must-have and is he worth chasing at this point in time. Im in a dilemma where i can upgrade ZGL to Taranto or i can go up to Ryan instead and keep 200ishK in the bank for next week. take the cash. Ryan isn’t a “must-have” but he is definitely one of the best rookies up front. He will score 90s against the easy teams, but probably only 50-60s against harder teams. I’m not a fan of Taranto, so may be biased, but I would take ryan – he will be good during the byes aswell. Big wraps on Taranto coming out of GWS and agree with the above. For those looking for a forward rookie then Ryan is more than viable option but if you are making bigger moves then the rookies can easily be overlooked. With Mullet performing well on the weekend too then the amount of question marks around him becomes too much to try bring him in. To be honest we are big fans of him from following the VFL at the end of last year but can’t see him having free reign at Calrton like he did for the Northern Blues. Thanks Milkment, great read as always. Any news on Tiziani? will he be the one to take Langdons spot? We love it too Blueman! In your situation we’d keep Adams but that’s just two guys opinion. Are you talking about RDT or AFL Fantasy though? You’d be hard press to find a suitable trade for Rayner if it’s AFL Fantasy outside of Gowers. Thanks for the response. Love the thoroughness of your work boys. Is Garlett still a must have in RDT? At the moment I am going Dow down to Barry. But it means I still have Langdon on my fwd bench. Do i keep Langdon or trade him. Probably for Garlett but still unsure? Or is Barry more of a must have. 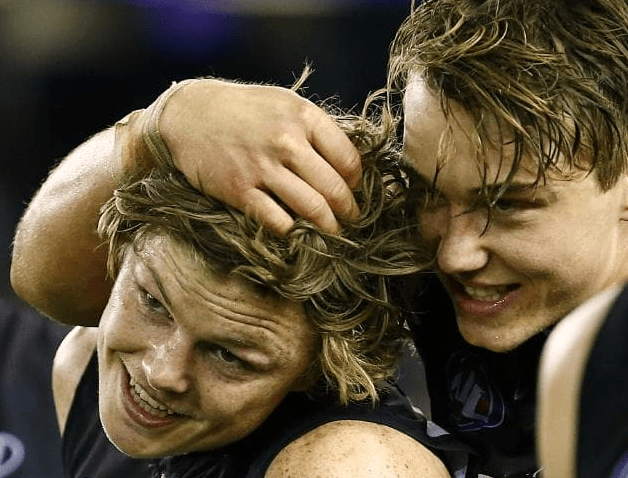 Langdon to Gartlett in RDT is a safe option, but so would any of the other rookies we’ve mentioned prior who havent gone through a price rise (Fritsch, Ryan, Gowers) etc. Gartletts game is very comparable to Ryans in terms of role and job security. Which one out of Gowers and Ryan will you play on field?? Currently have Ryan but don’t know if he will back up that score again or be a 50-60 player this week? It’s always a toin coss with choices like this but with Geelong still having quite an under manned defence we would go with Ryan. Which one out of Gowers or Venables for Rayner as F7 this week? I’m considering which two of Murray, Finlayson and Doedee to field. Looking at matchups, Doedee v St Kilda looks like he will score very well, and Murray v Carlton should still score quite well. However, Finlayson v Sydney is a daunting prospect (seeing as harder opposition sides tend to affect rookies more than others). However, I think the order of preference for this week is still Finlayson, then Doedee, then Murray? Needing to trade out Sicily and Langdon this week.. obvious reasons. Hey lads, love your work. Got a bit of a dilemma this week. I’m the owner of a Sic dawg in the back six and a Caddyshank in the FWD 50. Plan to move on Beams for Cogs this week and by virtue of downgrading Stef > Naiters last week I got a bit of cash up my sleeve. Could flip DFogs for little Ryan but I want you to cast your eyes over who you foresee having a stronger year, Cads or Sic? Can move Sic in the FWD line and could turn either into Laird. Have fiddled with turning Caddy into Taranto as well as I’m a Trants owner in a UF league. I like the first option. Seeds will be a 80-85 averaging def. Gray needs a week or two more to consolidate midfield time but with Rocky and The Chad working the pockets the early signs are positive. Yeah will have to see whether Bolton holds his spot as to whether they are just bringing him in for the week for Caddy. Rioli is still quite far off and the other names you mention get their first chance in VFL match this week so probably worth a wait to see how they perform. A score of 60+ this week and then named the following week, he will quickly becomes a must have. Willing to take the punt? oh yeah. i forgot about bolton. I reckon im going to follow ur advice and if bolton is ommited then ill jump on higgins but if he is out of the team for caddy then ill take liam ryan. Dow to 1: Higgins 2: Barry 3: Liam Ryan 4: Hold? cheers lads and great articles! Agreed unless you need the job security of Ryan. Barry is the go to out of the bunch. L Murphy has proven himself in the Adelaide side while Coffield is yet to. The 60k and better job security of Murphy makes him the viable option. Coffield more likely to go 70+ but we have at least one week to see how he settles in the side. He was very composed in the JLT. In defence of Rocky. To all you out there knocking the Rock, all I can say is that he has done some great things and single handedly winning matches for many dream teams, don’t forget the joy and great scores he created. He did not put in great efforts for himself, nor for the Lions, he did it for the Fantasy Footy community. His Blood and sweat was for us the FF community that trusted in him. The only reason he is not scoring (this is my theory only) is his shoulder is not what it was and his tackle count has suffered. He is like a great thoroughbred, trade him out but don’t give up on him. thoughts on Crowden from the dockers, should I trade him in. Gowers or Higgins to cover Langdon in F6?